Different professions require a variety of business tools on a daily basis. Many of these tools assist people with identifying their work or legalizing official documents or contracts. Some of the more common tools that people might purchase online are self-inking stamps. One profession that uses this type of product frequently is a notary. It is important that a notary has the correct stamp in order to make their documents official. 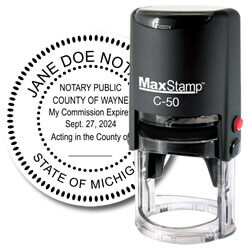 There are a number of companies where people can buy their notary stamp. With so many companies to choose from, people need to decide which company offers the best selection and the best price. When people need to purchase a product they want to receive it as quickly as possible. The ability to pick up a product quickly is one of the things people look for when ordering their business stamps. Certain documents require notary stamps and these can only be obtained from a licensed notary. A notary must make sure that their stamp has all of the required information for their particular state and it is their responsibility to make sure they are aware of their state’s particular requirements when they order their stamps. 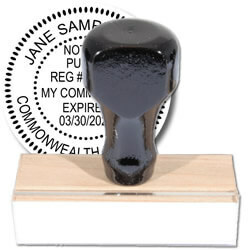 Many of the notary stamps are self-inking which make them very convenient to use. These stamps don’t require a separate ink pad in order to produce the stamp. The cost for a notary stamp varies depending on what type of product a person orders. Many companies give their customers discounts for ordering large quantities of a product. It is common for large companies to place a bulk order for certain orders such as self-inking stamps. Local delivery costs will vary depending on the location of the customer. Some companies will even offer free delivery with orders over a minimum amount. Many companies that make custom stamps also offer people the option of picking up their products directly from the company.